Fabian Delph is an English professional footballer who plays as a midfielder or a left back for Premier League club Manchester City and the English National Team. His shirt number is 18. His Zodiac sign is Scorpio. 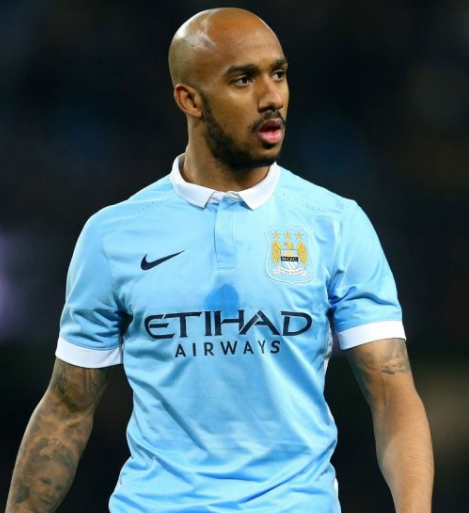 Fabian Delph was born in 21 November 1989 in Bratford, England. His mother name is Donna Delph. But there is no information about Fabian Delph father and siblings. Even when he had his hard times including the nasty injury that set him quite. Fabian Delph mentioned his mom, together with other family members were there for him. In 2007 Delph was made the captain of the Leeds Reserves. He gave his debut to the team in 6 May 2007. He signed his first professional contract in 11 January 2008. He made his first league debut in 13 august 2008. He also signed the four-year contract at Leeds. He was also called to the England under21 squad in November 2008. His performance made him nominated for the League One Player of the year. He won the young player award at the end. In 3 August 2009 Delph was transferred to Aston Villa on the disclosed fee. On 15 August he gave his first Premier League debut. He was also in the FA club and won a goal. On 20 January he again signed up for Leeds. In 2013-2014 seasons, he started very brightly and gave the best performance. His first goal for the season was in the League cup. His performances made him earn Aston villa Player of the Month award for August, September and October 2013. He was also voted as the Player of the Year by Aston Villa supporter. In 2014-2015 seasons his contract got expired. But he again signed a four-year contract on 25 January 2015 keeping him at Villa until 2019. He scored a goal which let them reach the FA Cup semi-finals. They again reached to FA cup final. He captained Aston Villa in 2015 FA Cup Final at Wembley Stadium. In 2015-2017 seasons Delph signed with for five years contract with Premier League Club Manchester United. He made his debut a week later against real Madrid in 2015 International Championship Cup at Melbourne Cricket ground. He scored his first goal for Manchester United on 28 November 2015. In 2017 he established himself as Manchester City starting left back in first half of team’s record breaking star 2017-2018 seasons. He started 14consecutives matches in Premier League. He was sent off in FA Cup defeat to Wigan Athletic in February 2018. In March 2008 Delph started his international career making debut in England national under19 team. He was also named in senior England squad for the first time. He also made his first international debut on 3 September. 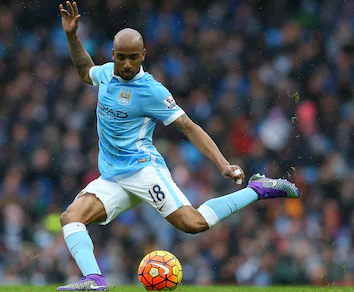 Delph announced to have been selected for the provisional UEFA Euro 2016 England squad. Delph was named on 23-man squad for 2018 FIFA World Cup. He made his world cup debut against Panama. He played for full 90 minutes against Belgium. Fabian Delph was also arrested by the police and he was charged for drink driving on the Rothwell and he was fined £1,400, disqualified from driving for 18 months and ordered to pay costs of £60, Leeds on 23rd December 2008. Delph wife name is Natalie Delph who is a businesswoman, an entrepreneur and the great investor. This couple has one son and two daughters; the youngest was born during the 2018 World Cup. His height is of 174 cm and weight is 60 Kg. His weekly wage is £90,000 and annual earning is £4.5 million.